Hairspray opens at the Winspear. Photo by Paxton Maroney courtesy of ATTPAC. The weekend after the Fourth of July is in no way an anticlimax. I like to think that this country’s Founding Fathers would be perturbed—nay, outraged—to know that on the day after the 242nd anniversary of the founding of these United States, Americans had to go back to work. Surely we did not cast off the yoke of King George only to submit to the tyranny of a five-day workweek and company productivity goals. Take some comfort in the knowledge that you can resume the pursuit of happiness as early as tonight, the unofficial start of the weekend. 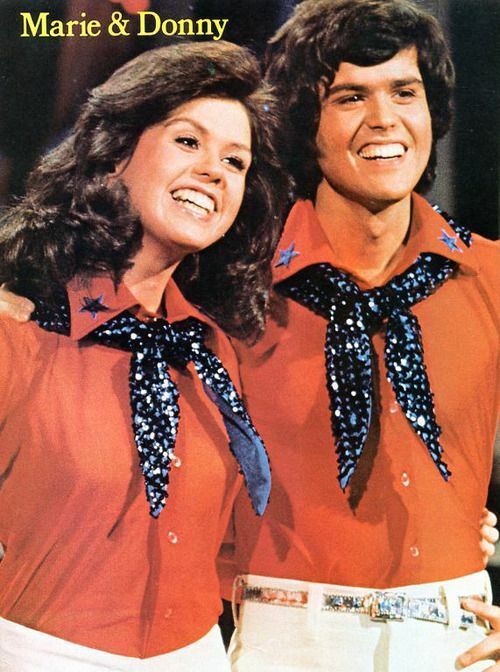 Donny and Marie are playing Verizon Theatre, appearing in ensembles much less notable than the ones they wore on their show in the ’70s. Are they even matching anymore? Different times. The mall punk roadshow known as Warped is in the midst of its last cross-country tour, the end of a Vans-wearing, hair-spiking, Hot Topic-shopping era that was important to many suburban teens, including this one. One last time, with feeling, Warped stops at Dos Equis Pavilion (formerly Starplex Pavilion) at Fair Park with headliners 3Oh3! and Bowling for Soup, among others. Ready to feel old and scared? Hatsune Miku is a piece of software designed to resemble a young woman who sings and dances, a “virtual idol” created by a rotating cast of computer programmers and designers that has proven wildly popular. “She” will “perform” Friday night at The Bomb Factory. Cry Havoc, a youth theater troupe that rose to prominence here with a work about the July 7, 2016 shootings of Dallas police officers downtown, returns with Babel. Again developed by teenage artists, the new piece explores the issue of gun violence, and includes an art exhibition of more than 8,000 shoes, representing the people killed by guns so far this year. The show opens this weekend and has performances through July 15. Have you gone to see the legendary Fort Worth comedy troupe Four Day Weekend at its new Dallas outpost on Lower Greenville? Why not? Don’t you love to laugh? Performance Saturday at 10 p.m.
Every July, the Fine Arts Chamber Players does free chamber music shows in the Moody Performance Hall every Sunday afternoon. It’s called Basically Beethoven, and it’s basically awesome. Dallas Summer Musicals’ The Lion King is closing at the Music Hall at Fair Park. Meanwhile, ATTPAC’s Hairspray is just getting started at the Winspear.